It’s a given, any book which references Supernatural was always going to be a win in my book. 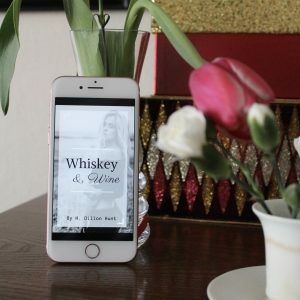 Whiskey and Wine is a sweet and heartfelt story. I loved the dynamics between Ellie and Dean, he pulls while she pushes. And if I’m honest, I’ve been left with a little bit of a book crush where Dean is concerned. As far as Dean Thomas is concerned, nothing matters but music. He’s come to Nashville to pursue one thing, a record deal. Well, two things if you count all the girls he chases. He’s always been chasing the same ghost, but he doesn’t even believe she exists anymore…until he lays eyes on Ellie. She’s hard-headed, passionate and the most talented musician he has ever met. So why is she trying to stifle her talents, and her feelings?